30 days until Witness Through Fitness! This year has been especially difficult to prepare for. This year’s event planning stages coincided with one of my dreaded Cluster Headache cycles (learn about them here). I’ve tried holding off certain projects until I feel better, but the clock is ticking. Here we are, 7 years after our first event. We again have a 30-day countdown, and a pressing reason to come together. 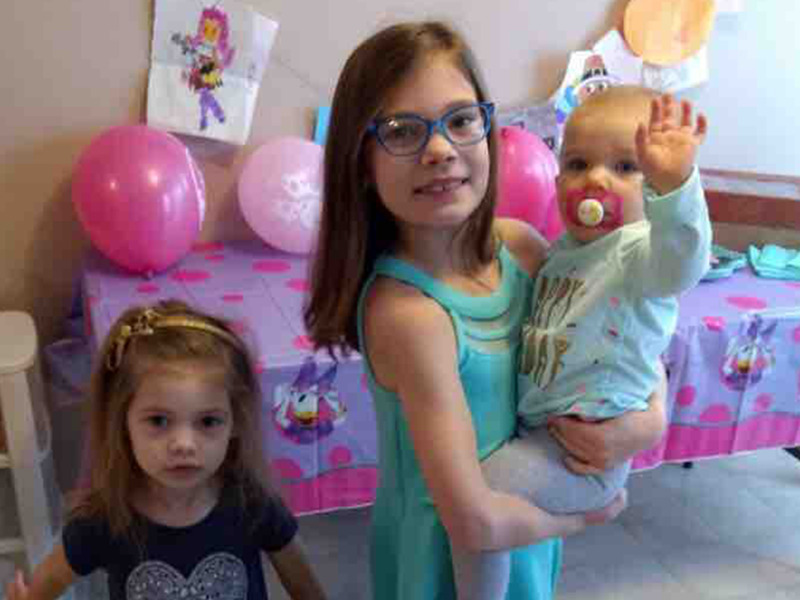 Shay Pippitt, 17-month odl daughter of Martyrs 5th Grade teacher Kylie Pippitt, was diagnosed on May 22 with a form of leukodystrophy (further testing is pending). The family’s greatest desire is to make it to Lourdes for physical healing. And if not physical, then at least to heal the aching heart of the parents. As her parish family, we want to do everything in our power to get them to Lourdes and (if possible) defray future medical expenses. Our fundraising effort is unique because it is rooted in our faith. We need all your possible prayer and support, especially if you have the means to do so financially. Please help us support the Pippitts in this difficult time. Let’s Come Together and Do It Again! Kylie Pippitt, Shay’s mom, was my daughter’s 5th grade teacher at North American Martyrs School a few years ago. 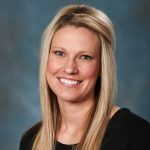 My daughter really enjoyed her as a teacher and, as a parent, she was great to work with as well. I’m sure many of you know someone she has taught or have known the Pippitts in some way. It’s difficult to hear of someone you know having to bear such a difficult cross. It also makes helping in some way seem all the more urgent. Witness Through Fitness has always provided a unique way for the parish to express our love and support for families of children with special needs. Last year, Villa Marie Home and School for Exceptional Children made the event even more special. 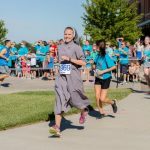 It was fun to cheer on the Marian Sisters running a 5K on a hot summer day in their full habit. It was also inspiring to get to know some Villa Marie students and families at the BBQ. They shared stories of the great impact Villa Marie has had on their families. 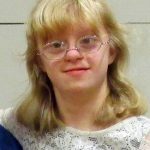 This year we are also honoring Jessie Spieker who has Down syndrome. At the Easter Vigil she received her First Communion and Confirmation. It is a special time for Jessie and her family to experience the welcoming love and support of the Martyrs parish. Just imagine…the Marian Sisters bringing in people from parishes all across Lincoln. The Pippitt family’s story inspiring hundreds of parish families to take action. And extending our welcome to someone experiencing the fullness of our Catholic faith for the first time. This year’s event is sure to be a well-attended, emotional, and memorable event for all in attendance and for the families of all our honorees. Witness through Fitness is also a great way for students to join in expressing their support. Remember, kids 14 and under can run or walk for free. I believe it was God’s plan this year to unite the Witness Through Fitness Community and North American Martyrs together. Your support is needed now more than ever to uphold a family in our parish and welcome others into our our community. Please consider being a part of this amazing event. We will be registering for the events, pre-selling BBQ tickets, pre-selling t-shirts, and signing up volunteers to help at the events. Please consider coming to mass either a little early or leaving a little later so you can help. Register for the BBQ and/or the Run/Walk after Mass or online using the button below.